Shrouded in white cloth, their names and home towns carefully printed on the fabric in black pen, the bodies lay side-by-side on the floor at a field hospital in Cairo’s Nasr City. Their deaths — five of the 72 supporters of the deposed Muslim Brotherhood-led government killed this week at the hands of Egyptian security forces and the armed thugs who fight beside them — marked another crisis point for the Islamic movement that in just one year had risen to the heights of political power and then crashed back to earth. With its senior officials, including the deposed president Mohamed Mursi held incommunicado for a month, Egypt’s Muslim Brotherhood appears to be struggling to find a coherent response, pushed aside by a surge of anti-Islamist sentiment sweeping through the countries of the Arab revolutions. The aftershocks of Egypt’s political earthquake — when millions took to the streets to call for Mursi’s overthrow on June 30 and the military stepped in to grant them their wish three days later — are being felt far and wide. Across the border in Libya and in its neighbour Tunisia, Brotherhood-affiliated parties are also under fire, their headquarters attacked and their political wings accused of having a hand in the high-profile assassinations of two opposition figures in the last week. On the streets of Egypt, the Brotherhood has few friends — at best people are relieved that its disastrous year-long rule is over, at worst, many support the violent actions of the security forces who in attempting to break up protests calling for Mursi’s reinstatement have killed at least 123 people in two incidents alone. It is a far cry from the Brotherhood’s triumphant entrance into Egypt’s first post-Mubarak parliamentary elections, in which its Freedom and Justice Party won 47 per cent of the vote, followed by Mursi’s victory — albeit slim — in last year’s presidential elections. The Brotherhood was founded in Egypt in 1928 — formed by Hassan al-Banna to Islamicise society through a combination of religion, political activism and social welfare. 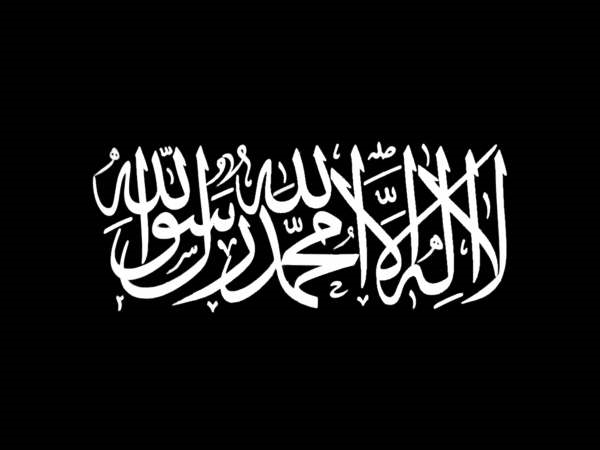 It has since spawned other Islamic movements, branches and affiliates in about 70 countries across the Arab and Muslim world, from Jordan to Syria, Kuwait to Indonesia. The movement has mostly lived underground, in the shadows, after being banned in Egypt in the 1940s. It has been repressed across the Arab world, often violently, in incidents such as the Hama massacre in Syria, in which Hafez al-Assad’s Baathist regime crushed a Muslim Brotherhood uprising in 1982, killing upwards of 10,000 people. So when it stepped out of the shadows after the fall of Hosni Mubarak in February 2011, it did so cautiously, at first insisting it would not run candidates in all electorates and that it would not contest the presidency. But after deciding to run candidates across the country and contest the presidency, it set about doing just that, ignoring the revolution’s demands for bread, freedom and justice. 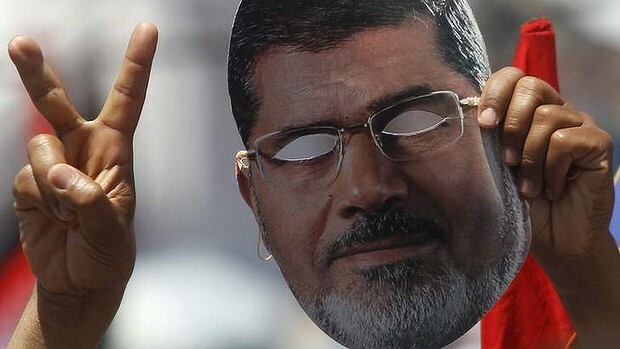 Mursi’s constitutional declaration on November 22 last year, which gave him sweeping powers, tapped into deeply held fears about the Brotherhood. It sparked huge public protests, and rang alarm bells for women, youth, revolutionaries, Coptic Christians and other religious minorities that an Islamist agenda would quickly follow. It was, it seems, the beginning of the end for Mursi. “Instead of delivering on his promises, such as building a broadly based inclusive government … Mursi went to great lengths to monopolise power and place Muslim Brothers in state institutions,” Fawaz Gerges, a professor of Middle Eastern Politics and International Relations at the London School of Economics, writes in Foreign Policy. And Egyptians resented it to their very core. “I fast, I pray, I go to the mosque — who are they to tell me I am not a good enough Muslim?” said protester Ahmad Omari in Tahrir Square last week, indignant that his faith was even in question. “Egypt created the Muslim Brotherhood movement in 1928 and it killed the movement in 2013,” said Said Sadek, a professor of political sociology at the American University in Cairo. Since the Brotherhood was established 85 years ago, the military, the police and the intelligence community have told Egyptians: “Israel is the external enemy and the Muslim Brotherhood is the internal enemy”, he said. So when Mursi failed to deliver on his promises – fixing the security vacuum, traffic congestion, fuel shortages, bread scarcities and public sanitation – he blamed the “deep state” that was programmed to undermine him. His economic mismanagement of Egypt’s already paralysed economy dismayed his supporters and angered his opponents. Political Islam was bound to fail, says Sadek, because it had no solutions, only slogans. “Mursi’s position on democracy was flawed — he looked at democracy as a ladder to reach power and then he got rid of the ladder, just like Hamas did in Gaza. But the depth of hatred for the Brotherhood is alarming even the most seasoned Egypt analysts. “This is really a very fateful moment for the Brotherhood,” says Nathan Brown, professor of political science and international affairs at George Washington University and a senior associate with the Carnegie Endowment for International Peace. “It is an extremely significant chapter — you had a Brotherhood president — something that would have been unimaginable before and that has ended in complete collapse and failure. After only recently getting legal registration in Egypt as a political movement, the Brotherhood is now “hated to the extent that it has been totally rejected”, Brown says. In this situation, the Egyptian military, lead by the charismatic General Abdel Fattah al-Sisi, and the military-appointed interim government, holds all the power. One possibility, he warns, is that Egypt will return to a period where Islamists are excluded from the mainstream at a high political cost. Most analysts agree it is way too soon to write the obituary of political Islam. 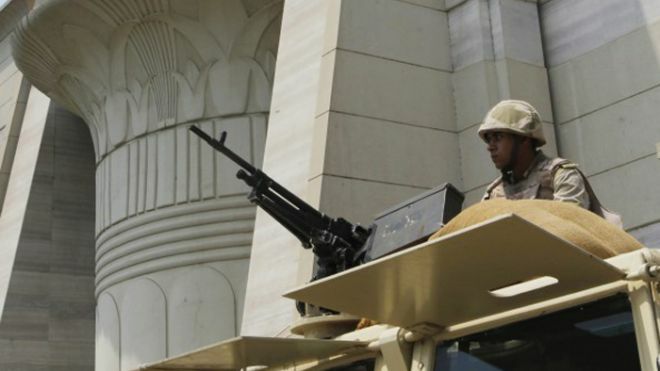 There are other strong Islamist parties, such as Egypt’s Al Nour, who may benefit from the Brotherhood’s failings. Indeed many who are disappointed in the Brotherhood’s performance in government will simply vote for another Islamist party next time, says Geneive Abdo, a Middle East fellow at the Washington-based Stimson Centre. “I would argue that the Brotherhood will still do well in parliamentary elections because they are extremely well organised on the ground. Hand-in-hand with the Brotherhood’s failure comes the failure of US foreign policy, Abdo says. “The US has lost the Islamists, Egyptian society and the military,” she warns. Add to that the competition between the gulf states of Qatar and Saudi Arabia for influence in Egypt, and the situation becomes very complicated, says AUC’s Said Sadek. Traditionally antagonistic towards the Muslim Brotherhood, many of the Gulf monarchies had held back their support while Mursi was in power. Soon after Mursi’s fall, Saudi Arabia, the United Arab Emirates and Kuwait stepped into pledge $US12 billion in aid to stabilise Egypt’s struggling economy. Egypt’s relations with Qatar, however, are now much less clear. “Qatar is nothing but a TV channel and money, and Al Jazeera Masr (Egypt) is the voice of the Muslim Brotherhood,” he says. Hazem Kandil, a lecturer in political sociology at Cambridge, argues the behaviour of the Brotherhood, both while in government and over the last month of protests at the Rabaa al-Adawiya Mosque in Nasr City and Nahda in Giza, has forced many Egyptians to re-evaluate the relationship between Islam and Islamism. It will have long-term consequences across the region because the strength of Islamists in most countries was based on the fact that the population identified two camps — secularists and Islamists — and believed, wrongly, that secularists were mostly resentful of Islam or at least indifferent to it, he says. In Tunisia, the July 25 assassination of Mohamed Brahmi, the leftist leader of the opposition Popular Front coalition, drew thousands of protesters onto the streets. They blame the al-Nahda, Muslim Brotherhood-connected Islamist party that leads the government. Calling on al-Nahda to relinquish power, the protesters say the party has created a sense of impunity among the country’s more hardline Islamists. But unlike Egypt’s Mursi, the al-Nahda party has offered concessions and on Tuesday said it was ready to form a new government with an even broader base. Still, the pressure is on the ruling party. Tunisian protesters are emulating Egypt’s Tamarod, or Rebellion movement, by collecting signatures on the street calling for the government’s downfall. And while Tunisia’s transition to democracy was better designed than Egypt’s, and its Islamists did not win the same level of power, there is very real cause for concern, says Carnegie’s Nathan Brown. “Tunisia is in danger of following the Egyptian path where … they are fighting their political battles outside any kind of normal political or constitutional framework,” Brown says. In Libya, where the Justice and Construction Party — the Brotherhood’s political wing — controls the second-largest number of seats in the country’s legislature, there is also disquiet at their influence. Last Friday there were protests outside the party’s offices in the capital Tripoli and in Benghazi to denounce the killing of a prominent political activist and critic of the Brotherhood, Abdelsalam al-Mosmary, who was shot dead leaving a mosque. The Brotherhood can stay in the political game if they admit their mistakes, if they modernise and democratise, experts say. But the brand has been seriously damaged. Along the baking hot pavements of the Rabaa protest, there is no pressure for the movement to change. Support for the Muslim Brotherhood is enduring, and officials say they do not have any plans to give up their demands that Mohamed Mursi is reinstated as president. Despite the interim government’s promise of a safe exit for demonstrators and its public vow to clear the protest site, most show no signs of leaving.